All you could dream of: delicious coffee, charming Old Town streets and a private local guide on this 3 or 4-hour Moscow Coffee Tour. Explore the beautiful Chistye Prudy neighborhood as you stroll through its ancient streets and avenues and admire perfect blend of old Russian aristocratic mansions and palaces as well as trendy bars, restaurants and tea houses. Get the inside scoop on 3 best coffee shops Moscow has to offer, enjoying tastings and learning the alternative ways of brewing coffee from your savvy local baristas and our guide. Afterwards, continue your java journey to the Red Square (on 4-hour tours). Uncover some little-known treasures of eclectic Kitay-gorod neighborhood and soak in the delights of Moscow’s history on your way. 10am Meet your friendly local guide in the hotel lobby. Explore the most interesting and unique area of the city – Kitay-gorod neighborhood. 10.30am Get close to long history of ancient Maroseyka Street, marveling at old architecture representing different epochs and pop in at hipster Jeffrey’s Coffee, a casual-style coffee shop. Grab some crackers, croutons or cookies and wash it down with flat-white, hot chocolate or mochaccino to choose. 11.00am As you savor your treat, wander down the Pokrovka Street, one of the oldest Moscow avenues formerly known as a part of Royal Road. Imagine Russian tsars heading from the Kremlin to their country residence. 11.30am Then get an in-depth look at famous Coffee Bean coffee shop. Sip the energizing Red Eye coffee, a fortified coffee drink in which regular drip coffee is combined with an espresso shot, and sample a delicious marshmallow. Enjoy a friendly chat with your private guide, and learn some fun facts and stories about coffee, Moscow and local life. 12.00pm Take a historic walk along Chistye Prudy area. Your guide will shed light on the origin of the name and you'll find out what's so funny about it..
12.30pm Stroll along Myasnitskaya Street, prominent Moscow avenue where butchers used to live. 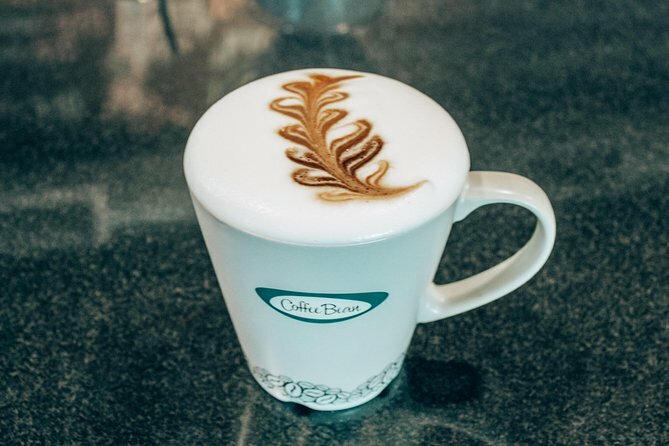 Then take in full caffeine experience by sampling cappuccino or latte with exotic tastes to take your pick of in Double B coffee shop: cherry-chocolate, rosehip, salty peanut, lavender, strawberry-thyme or tangerine-fir. Or try a renowned raff – vanilla, citrus or lavender as your knowledgeable guide shares the story of its creation. This world-known drink was first served in Moscow in 1996 and since then has quickly won popularity among coffee connoisseurs all over the world. 1pm Finish your tour here or, if you book a 4-hour tour, head on to Red Square. 1-1.30pm Next, venture to Lubyanka Square and learn some interesting facts about Russia passing by the notorious KGB building on Lubyanka. Finish your tour at GUM for souvenirs shopping. 1.30-2pm Gaze up at the posh boutiques and gorgeous mansions of Nikolskaya Street and proceed to Red Square where your local guide will reveal some of the Moscow’s best kept secrets. Deepen your knowledge about Russian history, feast your eyes at timeless landmarks like GUM, St. Basil’s Cathedral, Lenin’s Mausoleum, Manege Square, Alexander Garden and capture unbeatable views of the Kremlin walls and towers. Finish your tour on Red Square or head back to your hotel if it’s located somewhere nearby.